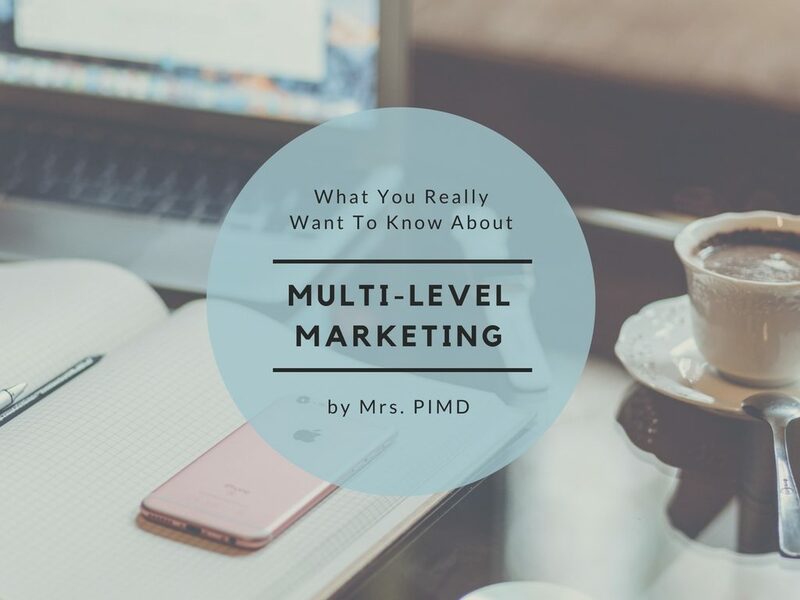 What You Really Want To Know About Multi-Level Marketing | Passive Income M.D. Multi-level Marketing (aka Direct Sales or Network Marketing) is a business model in which an independent consultant or distributor can earn an income by selling a service or products and/or by recruiting other business partners to do the same. I see it like a personal or virtual franchise, without the headache of a brick and mortar store to upkeep. You’ve probably seen these on your social media feeds: your college friend selling jewelry or skincare, your cousin posting about a travel club, or a coworker offering coaching sessions. If you feel like you’re seeing these more frequently, I agree! Multi-level marketing companies (MLMs) have definitely become increasingly mainstream over the past several years because more and more people are embracing the flexibility these companies offer – being able to work from home (or really from anywhere) and possibly making a full-time salary on part-time hours (with no proverbial ceiling or salary cap). In fact, I know many physicians who have jumped into these businesses in response to the brutal demands of the current practice of medicine and have been quite successful. I mean, Warren Buffett, one of the most well-known and respected investors in the world (or so my husband tells me) owns three MLM companies himself. Something that has come up frequently since I’ve taken up this business: Are these pyramid schemes? No, MLMs are not pyramid schemes. Pyramid schemes involve recruiting participants and taking their “invested” money (that then filter up the pyramid) without any product or service in exchange. These are illegal. MLMs do encourage recruiting, but they should also offer a legitimate and good product or service – this is the key difference. To be completely honest, however, I have heard of some MLMs getting into trouble for “pushing” recruitment over products, making them function very much like pyramids schemes – so, as always, it is important to do your research. Having been involved with our MLM company for almost 2 years now, I am 100% confident that this is a genius and potentially lucrative business model. And while I do feel anyone can do this type of business, of course it’s not for everyone. 1) As mentioned above, if you are not comfortable stepping outside your comfort zone, putting yourself out there, or rebranding yourself, maybe this is not the avenue for you. Notice that I did not say, “if you are not a salesperson,” because none of these companies expect you to be a salesperson. That’s the beauty of this model – if they wanted salespeople, they would have just hired them. The whole point is to find people passionate about the product, service, and business model (which you naturally will be once you experience the benefits and achieve success). 2) Taking your work home. At your office or hospital job, it may be possible to leave work at work, so that you can focus on your family and friends. MLMs do blur this line a bit since you are tapping into your everyday network. It may be hard to “switch off” MLM work mode (which some friends might interpret as “pushy”) but managing it is all part of the learning process. 3) This will take time. Team members in my company refer to it as the “3-5 year retirement plan,” though it may take longer for many. MLMs are not overnight “get rich quick” plans, so you will have to budget in the time and commitment. As you may have gleaned from this post, my husband and I are big believers in this business model done correctly. We’ve seen many people’s lives changed as a result of having their own small businesses through multi-level marketing. These are real people – people we’ve known for years, people we’ve gone on vacations with, and people we were in residency with. Interestingly, if you had told us we’d be involved in something like this a few years ago, we wouldn’t have believed you and may have even scoffed at the mere idea of getting “tangled up in a pyramid scheme scam” (which may or may not have been my very words to him when we first discussed this opportunity). But after doing our research and due diligence, we are obviously glad we gave it a try. In the following post, I’ll go into my day to day, and how it’s impacted our lives. Could this be something for you? Anyone care to share their experience or thoughts? Very interesting article. I think most of my views around MLM have been negative due to the pushiness, scam-like qualities and cult like characteristics around some of the more popular MLM. This gives me a more rounded view of the system, thank you for sharing! Well there are some bad apples, just like in any profession, although perhaps the system lends itself to things like this a bit more. We felt the same way until a few physician friends started working with a company that was created by physicians. That compelled us to at least dig a little deeper. Agreed here! I’ve heard so many horror stories about MLM. But there are probably some really great opportunities if you work with the right company! I recently got into an MLM company and I agree that it has to be the right company for “you” specifically. People can see If you believe in the product. So if people trust you they are more willing to take a chance at something that you believe in. Mostly because they trust you. I totally agree with you and have posted a similar article. It is all about the person and their needs, willingness to learn, and earn. 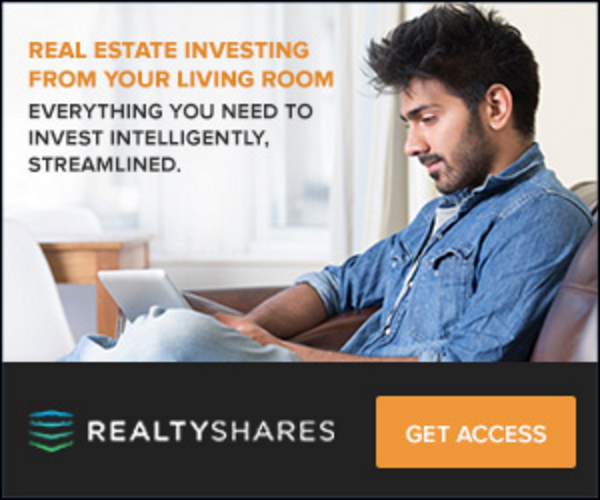 There are many different ways to earn passive income, some have very little startup costs, which makes it available to the everyday person without savings or capital to invest. Thanks for putting this out there. You’re welcome. I do believe the company does make a huge difference, so like most things in life, doing your due diligence is important. Do you have any idea how many Longaberger baskets my Mom bought out of a perceived obligation? Or overpriced Tupperware products? Mary Kay make-up? And don’t get me started on the positively pro-emetic Herbalife magic potion drops we had to take one summer because her friend sold her several bottles. That was thirty years ago, and it’s only gotten worse. My wife, being a doctor’s wife, is now a target. Frequent invites to “parties” with “no pressure” to buy anything. Norwex, 31, Pampered Chef, and more. And if I see one more before & after picture from a Rodan & Fields “non-salesperson,” in my Facebook feed, I might just unfriend them all. Pretty soon we’ll probably only have two options: buy from Amazon or buy from friends. The only brick and mortars left will be experiential in some way, like restaurants or entertainment. If Amazon ever buys Disney then it’s all over. Thought it was important to address the subject because there are a good number of physicians who are running MLM businesses and actually finding a sustainable work-life balance because of them. 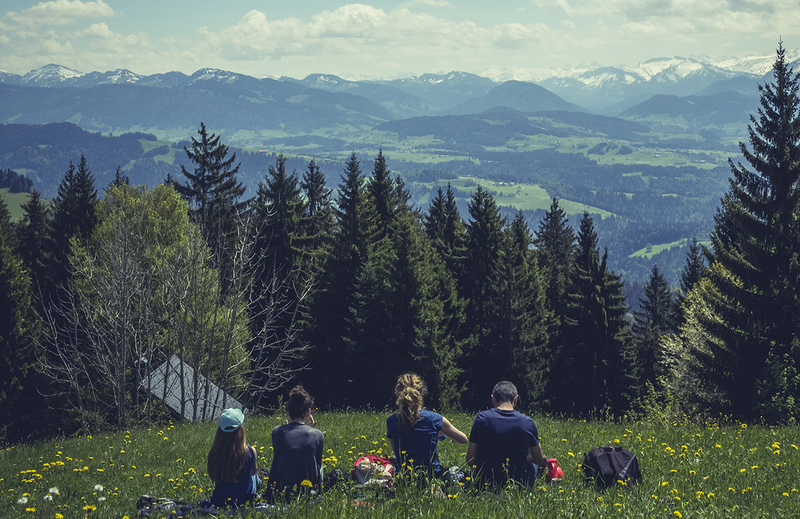 Looking at the bigger picture, a good number of physicians are close to the burnout point and looking for ways to support their families without putting in extra hours at the hospital. This just happens to be an option and hopefully they carefully choose who to align themselves with. Best recommendation I have for those who are angry about this business. If your friend is offering you a banana that you don’t care for , just simply say something like “ no thanks I don’t care for bananas.” But if you call yourself a friend don’t be angry that your friend likes bananas and was thoughtful enough to share one with you. Don’t get angry about your friend trying to share something they love. I’m a HUGE fan of this site, but I fail to see the dichotomy you predict. That sounds like a dystopian nightmare, unless you’re talking about friends selling friends their spare goods. Retail may shrink, but isn’t disappearing anytime soon, and second-hand will only become stronger as people shy away from paying full retail in stores. When buying from friends doesn’t involve price gouging at the potential expense of said friendship, I’ll listen. I completely agree on the fact that physicians are burning out and there’s got to be a better way, but if you’re making more off MLM than the $200 an hour that can be earned doing honest work, you’ve lost me. Sorry, I was being a little facetious with the Amazon or friends comment. I was playing on the doomsday scenario that a lot of articles depict in the wake of the Amazon / Whole Foods merger and Amazon’s new wardrobe play. Things are definitely changing, but just how fast, who knows? This has been great commentary and I totally agree with your points. There are some sleazy folks out there, ripping honest hard working folks off. Then you have your friends pushing the latest cream, vitamin, etc. Yes, many of these seem overpriced, and typically the setup is some form of auto-ship, where you get more than you actually use. I can’t tell you the number of supplements that have been discarded from my pantry. These situations have really given a crap colored stain to the industry. Then you hear the stories of the single parent who was able to put their kids through college. Or the individual who lost his job of 25 years to outsourcing, downsizing, etc and he has been able to replace his income. The immigrant who left their country for a better life for their family. There are thousands of stories like this in network marketing. And you know that network marketing can be a good way for the everyday person to “make it”. If there is a chance for someone to make a better life for themselves, then I will at least listen. I may actually already be buying what they are selling. For me, the piéce de résistance is when the marketing model is based upon actually saving people money on something they already use, and the startup fees are nominal, this is when you have magic. Thanks for putting this out there, talking to the elephant in the room. I have seen a number of MLMs. None of them have offered a product that was going to actually save you money. They were all overpriced except one, an energy drink focused company. But they required a relatively high monthly spend. They pretty much have to either be overpriced and/or have high required monthly spends be to make the bonus structure work, or at least those crazy “double-zirconian” type structures. Personally I don’t know of any company that looks to minimize their return as much as possible. They try to price their product at the optimal point that the market can bear. Because of the business model of MLMs where they need to pay out a pre-determined percentage to distributors, that will definitely be cooked into the product price. But with any product that you purchase, if it requires a good amount of marketing or a distribution model, that will be cooked into the price as well. So at the end of the day, the MLM’s success will depend on the strength of the brand and product. Have a crappy product that only gets bought up by the distributors themselves and not by outside consumers? – that business will die off fast and yes, people at the bottom won’t do well. Have a great product that can only be exclusively bought through distributors and consumers are willing to pay for it? That’s sustainable. I think the term “overpriced” is a completely subjective thing. You can buy a bag that costs $19.99 or you can spend $25,000 to get something that looks similar but has a different name stamped on it. For some that $25,000 is worth every penny (even though I think it’s a complete waste). You can buy books on the same subject for $4.99 or $24.99, and with e-books it’s all digital. Cars, watches, cosmetics, shoes, haircuts, anything you name it has variation on price based on brand and what the market will pay for them, and none based on trying to be the cheapest out there. I definitely think that there are bad eggs in this industry but I think it’s hard to say it’s every single company. People need to do their homework and choose smartly (or not at all) as with starting any business or venture. By the way, I always warn people against MLMs that require you to stockpile inventory. Thanks for the comment. Well, you must be part of one of the only “good” ones. And again, the pressure to buy more than you need or buy what you don’t need ($15 shampoo when I go down the street and get it for $8 or even $2.99) is immense (in many MLM businesses). Why spend $15, well you need the Volume points right, price be darned. There are way more MLM “horror” stories than success stories. Way more MLM “horror” stories than bad one-off, overpriced purchases from Nordstrom’s or Macy’s. I have personally been involved with 3. I’m sure if I named them, each would be recognized. I do buy oils from one, but only because they have blends that aren’t easily replicated. But that is 2 out of probably over 100 products. MLMs talk about cutting out the middle-man, but in essence your upline becomes the middlemen. If half (or more) of the cost of your product is baked into pay bonuses, it is pretty easy for a traditional outlet to replicate and knock your socks off (or spill your acai). I’m glad you warn people about certain MLM practices. I just believe there are far better ways to “Win Friends and Influence People”. Most MLMs really end up doing the opposite. I like to think we chose smartly. I definitely am not looking to be defender of the MLM universe though. Done correctly it’s a legitimate business model, but I can understand how a bad experience could leave a bad taste in someone’s mouth. Sorry you had a rough go at it, and I’m sure people could learn a lot from your experience. Seems like a hot topic these days in the physician side hustle community. For educational purposes, I’ll put out a post on some of the nuts & bolts details. People need to be as informed as possible. Feel free to chime in there or any other post for that matter, thanks! Oh Lord. I fell asleep reading this yesterday and dreamt I had freaking left a comment already! I don’t like MLM because one of my former (former!) friends was into it and she tried to sell me products exhaustively when she knew I was a broke college kid. She went to some huge convention and couldn’t shut up about it either. I’m not sure what happened to her but I know she stopped doing it. People who have been burnt will have a sour taste about other mlms. However, I belong to one that doesn’t make me buy any inventory, one that has given me a nest egg for the future and one that is debt free run by founders who care. In addition, nothing is more gratifying than when a customer calls to thank me. Thank you for blogging about network marketing and clearing misconceptions. I totally agree with what you said. But also it is important to choose right firm and people for multi levelt marketing.